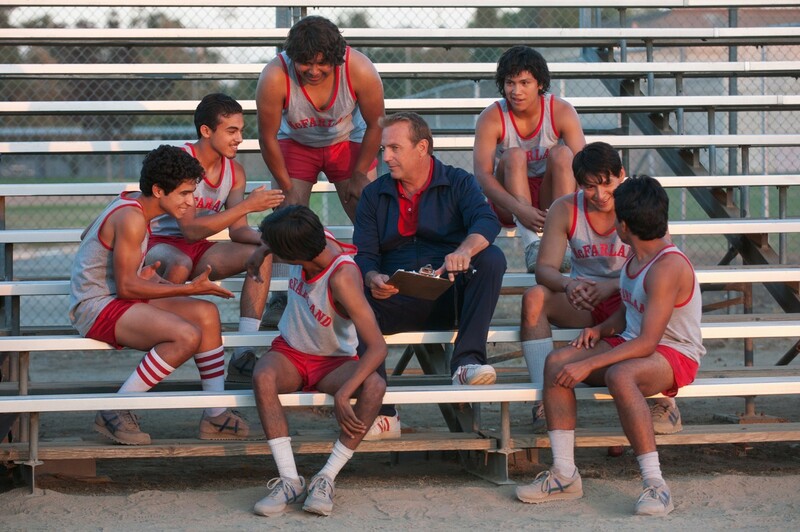 As February is traditionally one of the worst times of the year for movie releases, my expectations were rather low when I attended a screening of “McFarland, USA,” a biopic about a California cross country track coach starring Kevin Costner. At some point during the first half I found myself thinking the film has a chance. By the end of the story I had admitted my surprise and reminded myself that one should never judge a film by its release date. 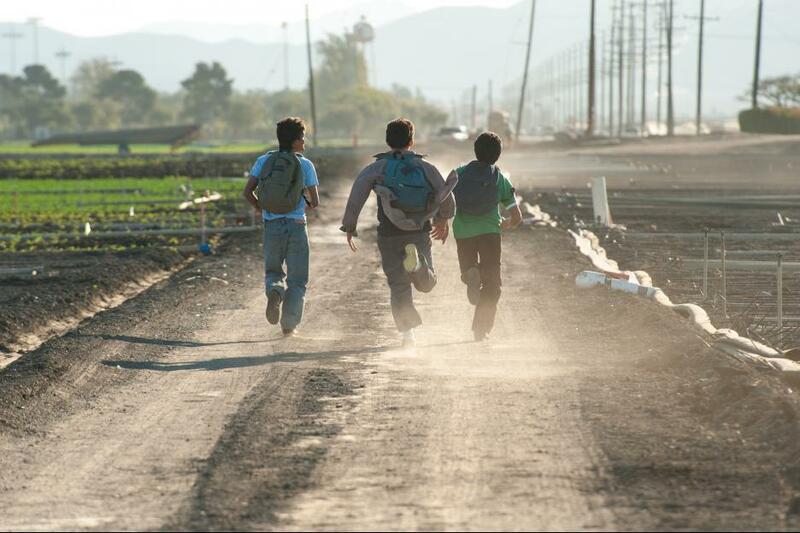 By the very end of the film, following the conclusion of the narrative, it hit me how special “McFarland USA” is. While it is a good film, it is not necessarily great. There are no truly memorable scenes that will transcend the run of the film. The performances are solid but not standout, as is the direction. But, what stands out, what is special, is the story. Whether by design or lucky chance, the lack of outstanding achievements in typical elements of film, direction, acting, and even writing, allow the superb story to stand out. What one takes away from this film is the powerful teaching and life lessons that is the story of Jim White and the McFarland High School Cross Country Team. Set in 1987, the film begins with Coach Jim White, (Kevin Costner) taking his Boise Idaho High School football team to the locker room after a very poor performance. Before the halftime is over Coach White would be out of a job, again, as we later learn. In the following scene we learn the family is driving to California, to the only place in the country he could find a job. After White arrives he discovers this is also a place where the only true expectation is just showing up. McFarland California is a town known as the garden of the country, not because it is a place of beauty, but because it is the place where much of the country’s produce is grown and harvested. In the 1980’s the town was over 90% Hispanic with the vast majority doing the back breaking work of picking the food that others will eat without thinking who went through what to provide it. 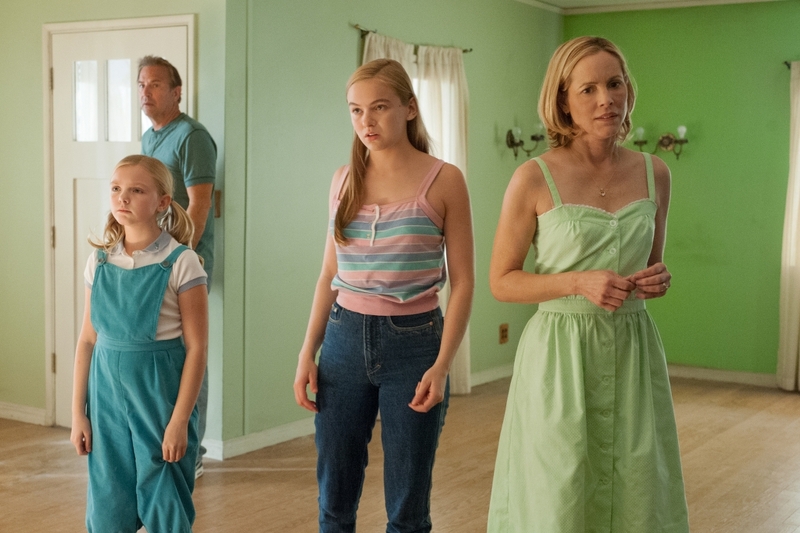 Watching the Whites move into one of the many very modest homes, by some of the viewer’s standards, one reads the minds of the family members, that McFarland California might have had glory in the past, but it had little in the present and less coming from the future. Before the first box is unpacked, the game plan is set for the family; Coach White will stay only as long, or as little, as it takes until he can re-launch his coaching and teaching career. At one point, while trying to make his house look a little better, he refuses to buy a shade tree because it will take five years to grow to a suitable height, and Coach White will be long gone by then. Why should he plant and nurture something that someone else will sit under and enjoy. Coach White soon discovers that the high school is in no better shape than his home, except instead of being bare of furnishings and anything beyond utility, McFarland High is bare of hope and therefore expectations other than to get through the day, the week, the month, and finally the year. Where Coach White refused to see the point of planting a tree, the coach in him could not help planting the seeds of thinking bigger and beyond the confines of the low place McFarland California had had fallen and seemed destined to remain. After losing the assistant football coaching job of the High School, White was left to teach science, coach P.E., and notice that the community, while not populated with football players, was populated by kids who could run and run and run. They did so not out of desire, but out of necessity. The kids would rise before dawn, pick several hours, and then run to school. For many of the kids in the community, running was a way of life and a way of making ends meet. As Coach White noticed this, he also heard that cross country was being recognized as a high school sport and the first state championship would be held later that year. Fielding a team, and then pushing them to compete against schools that had competed as club sports became his mission, and eventually would become the hope that much of the community needed. It would not be an easy task. Unlike his previous experiences as a football coach in football crazy communities where Coach White never had to sell his sport to students or parents, in McFarland he had to convince kids and parents that the sport was worth the effort, worth the time away from the fields, and the prospects of a college scholarship worth the dream. To do this Coach White became a part of the community, by going to the kids’ homes, sharing meals with their families, and tasting the work of their world as a picker. In the Prologue to the Gospel of John the incarnation of God in Christ is described, “and the Word became flesh and dwelled among us.” The Word of God, the Son, took on our flesh and literally “pitched his tent among us.” Jesus did not come into the world to be like us and be near us. He came to be one of us and to live with us, experiencing life as we live it. In counseling terms God did not come in the form of Jesus to sympathize with us, but to empathize with us. Through the incarnation, the Word became real flesh and blood that would bleed, suffer, and die so that we, and all creation, helpless before death, could have the opportunity and the hope, to live. By choosing to pitch his tent in McFarland rather than just bide his time, Coach White, and the entire “Blanco” family became a part of the community of McFarland, and in so doing, received and instilled the idea to look beyond the very limited expectations of the past and present, and instead, look, dream, and hope for a future beyond. In so doing they served as a spark that helped restore life to a school and community. Go see this film. Another connection with Scripture is the calling of disciples by Jesus. As with the disciples answering Christ’s call to follow him, there was a financial impact on the students’ families when they answered the call to run cross country. As the disciples left homes and families who depended on them, the kids gave up time when they could be picking and earning money for their families. Yet, the kids were called to something bigger and in their answering the call, they, like the disciples, brought hope and new life to others. Note: McFarland USA” should be required viewing for anyone thinking about ordained ministry in the United Methodist Church. It is an example and challenge to pitch one’s tent wherever one is appointed, and resist the temptation to wonder how long do I need to stay, when an appointment is not one you would not have chosen. Instead, claim the calling to find the ministry that can be, that needs to be offered wherever one is. Actually, the above applies to laity as well and the general ministry all have through baptism. 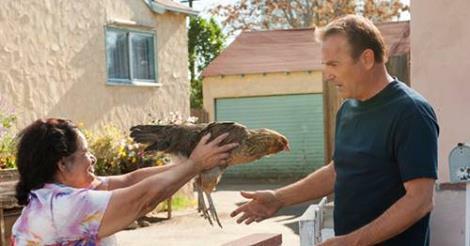 “McFarland USA” is rated PG. Sr. Pastor Christ United Methodist Church Farmers Branch Texas, UMR Movie Reviewer Kenny Dickson received his M.Div. from Duke Divinity School as well as a BFA in film history from Southern Methodist University.